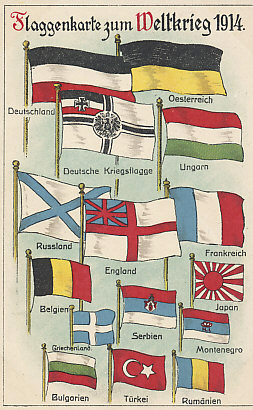 Flags of the World War, 1914. 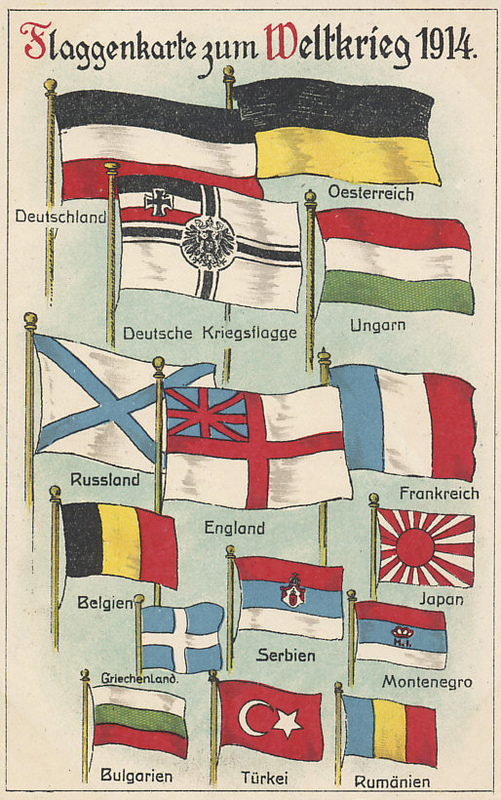 The Central Powers - Germany (with its national and battle flags) and Austria-Hungary - are above the Entente Allies - Russia and England (both naval rather than national flags), France, Belgium, Japan, Serbia, and Montenegro. Neutral nations are at the bottom. Turkey entered the war on the side of the Central Powers in October 1914, and Bulgaria in October 1915. Rumania joined the Allies in August 1916. Greece had a more reluctant relationship with the Allies who occupied Salonika in 1915. Greece did not formally join the Allies until 1917. 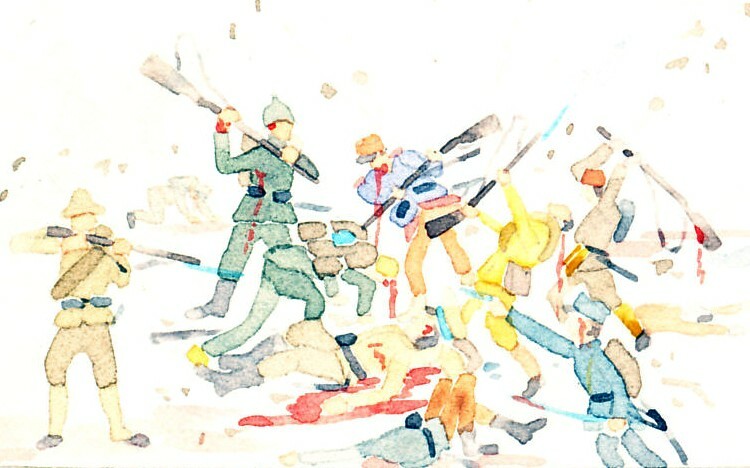 Familiarity with the national, imperial, naval, battle, and other flags is helpful for identifying the nations in propaganda postcards and illustrations.